The Unreleased Beatles: Music and Film details the incredible wealth of music the Beatles recorded that they did not release, as well as musical footage of the group that hasn't been made commercially available. The 400-page, 8 1/2" X 11"-sized, illustrated book examines all unreleased studio outtakes, BBC radio recordings from 1962-65, live concert performances, home demos, private tapes, fan club Christmas recordings, and other informal recordings done outside of EMI studios that have escaped into circulation. Chronologically sequenced entries for all the Beatles' unreleased recordings of note from 1957 to 1970 are here, as well as all the unreleased Beatles musical video footage of note from 1961 to 1970. Also included are overviews of songs composed by the Beatles that were never recorded by the group, but given away to other artists; recordings known or rumored to have been made by the group that haven't yet circulated; Beatles compositions never recorded by anyone; coverage of music the group didn't release while active, but later put out on albums such as The Beatles at the Hollywood Bowl, Live! At the Star-Club, Live at the BBC, Let It Be...Naked, and the Anthology volumes; and a history of Beatles bootlegs. Written with critical, descriptive analysis emphasizing the music and its most human, artistic qualities—and not just where and when the recordings were made—The Unreleased Beatles: Music and Film is a history for both the general fan and the specialized Beatlemaniac. 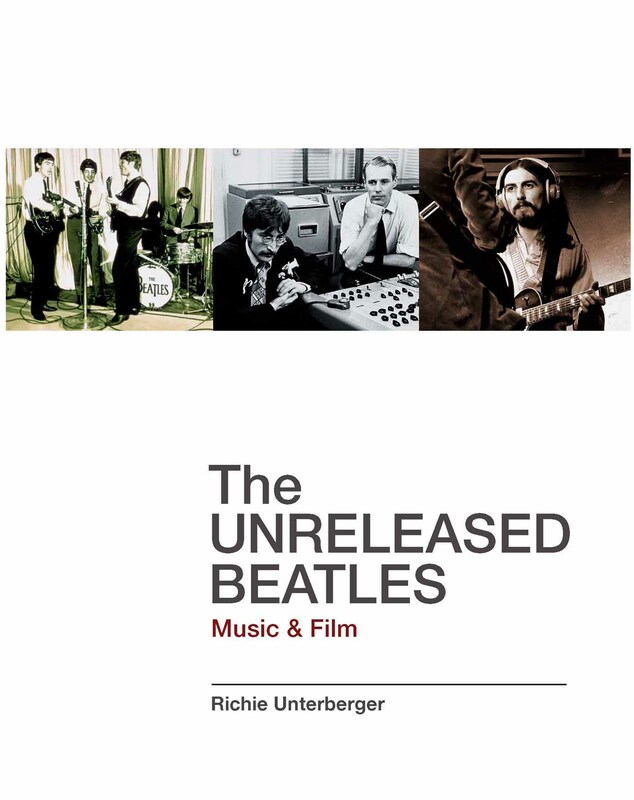 The Unreleased Beatles: Music and Film is widely available at both independent booksellers and chain bookstores throughout North America. To order on-line via amazon.com, click on the book cover below.